Nima is a senior consultant at Eunepa with a focus on strategy, stakeholder mapping, due diligence and geopolitical analysis. His main strength lies in combining strategic and behavioral analysis to realize potential in companies and individuals. His global market awareness, resulting from his strong international experience in Europe and Asia, combined with his finance expertise and his precision provide a skillful foundation in his consulting work. 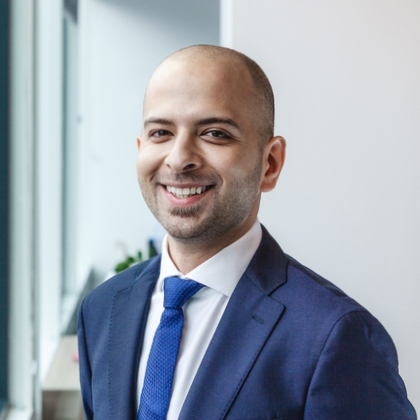 Nima started his career representing the Iran Chamber of Commerce (ICCIMA) in South East Asia and then continued as a project manager representing the ICCIMA in Malaysia, Singapore and Indonesia. In his 10 years of professional experience, he gained an in-depth understanding and knowledge of key sectors in Europe and Iran. He joined Atieh International in 2014 and was involved in consulting clients during the JCPOA negotiations and following the JCPOA deal. He has been instrumental in the formation of Eunepa. Nima holds a Master’s degree (1st) in Finance from Webster University Vienna and a Bachelor’s degree (Hons.) in Business Administration from UCSI Kuala Lumpur. He speaks English and Persian. Connect with our experts today.